Our friends and Vegas natives over at SquidHat Records are throwing a PRB Close-out celebration aka Skank till You Drop Dead Party! Kicking things off are SR’s Franks & Deans covering all the crooner classics that you hate to love to sing! Changing the pace up a bit are local Vegas powerhouse trio Mercy Music with their dark, poetic lyrics mixed with soda-pop-punk riffs will be making their second ever PRB performance. Squidhat Records Label mates MONKEY, the 6 piece, reggae/ska outfit will be bringing their rocksteady rhythms and intense beats over from San Francisco. They are always a crowd pleaser! When you drop a line for more Ska, we pick it up, pick it up, pick it up! 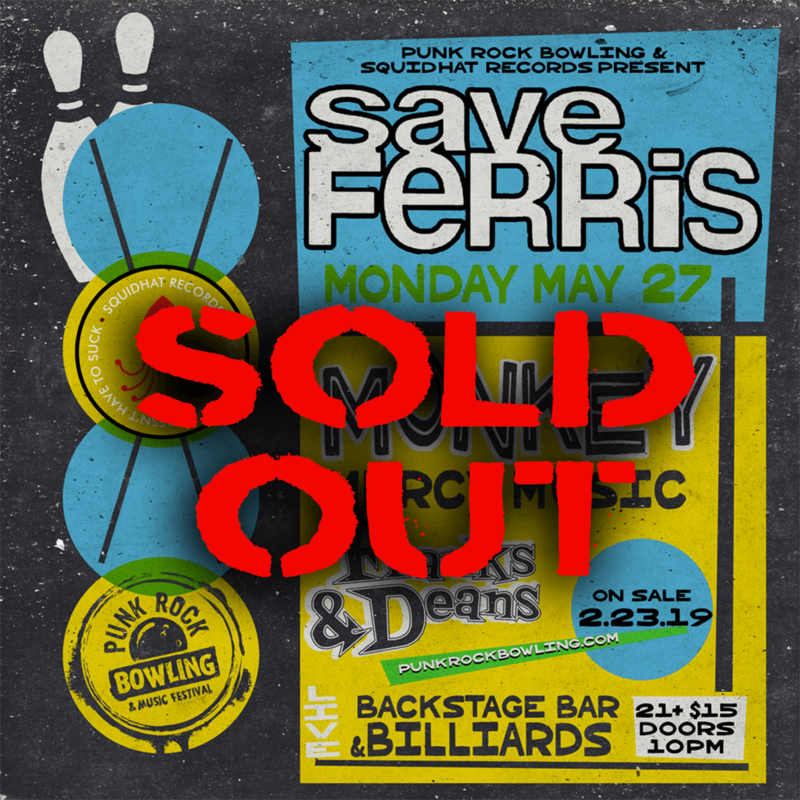 90’s SoCal beloveds, Save Ferris, lead by the inimitable Monique, are packing the big band up and heading to PRB for the first time ever!